Under this plan many prisoners will remain in the SHU indefinitely. Since 2011 when the STG/SDP pilot was implemented, the number of SHU inmates has risen. This remains true even though 60%+ of prisoners have been released as a result of case-by-case reviews of all long-term SHU inmates, proving CDCR’s extreme overuse of isolation. Nothing in these regulations prevents continued overuse of solitary confinement in California. Conservatively 11,000 adults are in some form of isolation in California, of those over 3,500 are NOT held for in-prison violent acts. Strangely the men isolated the longest times are NOT isolated for violent in-prison acts, but for how prison officials categorize them. SHU ‘assignment’ is for in-prison issues, not for crime on the street. Prisoners isolated for years without violent behavior should not have to prove anything. Yet these proposed regulations require many of them to prove themselves for as much as four more years or possibly for their lifetime. Release from the SHU by reform does NOT mean release to the street, it means release from the crushing isolation to the general prison population. Under the STG/SDP, placement in the SHU is designated as an administrative assignment. There is no due process. “Assignment” to a concrete windowless tomb is punishment. Under these new regulations there will still be no phone call with family until Step 3 (then 1 call a year) no contact visits with family, sensory deprivation, no human touch except for shackling, no colors, no vision of anything far away, bad smells, tasteless or disgusting food, annoying noises all the time, very cold or very hot cells, sleep deprivation, concrete bed with a thin disgusting mattress. Enforced idleness, there is little to do, but watch TV or listen to the radio (if your family can afford one). No access to self-help and educational programs exists without family funds. At Pelican Bay, there is no time in the sun, no view of the outside, no fresh air. Innocuous social interaction, trivial interactions (shouting through a vent to have a conversation) are punished as serious behavior violations in the STG/SDP disciplinary matrix. Possessing art work or political readings, having a tattoo, signing a greeting card, or exercising with other prisoners should not be labeled as evidence of gang “behavior,” “gang contraband” or evidence of “gang activity. These regs allow such labels to be applied and keep someone in the SHU for a lifetime. If prison guards use the term ‘direct link’ or ‘gang nexus’ when writing up the offenses for possession of materials, possession becomes ‘behavior’ and grounds for indefinite isolation in the SHU. Citations for these ‘serious’ rules violations (115s) can extend prisoners’ SHU terms, result in good time credit forfeitures, and prevent their chance of parole. Engaging in the peaceful hunger strike and signing “The Agreementto End the Hostilities” should not be grounds for a serious rule violation and grounds for continuing SHU assignment. Possession of books about Black History or Mexican culture is considered ‘behavior’ which warrants SHU isolation, under these regulations. Being seen by others as a leader is grounds for isolation even without violent behavior. Isolation for the reasons listed above gives tremendous discretion to every level prison official, including guards. Using the STG/SDP regulations as a handbook, one nasty guard can be a judge for any prisoner he may dislike and ‘sentence’ him to solitary forever. The “nexus” standard (connection to gang activity) as defined and applied is arbitrary; for example, the notion that two validated prisoners could have a relationship separate from the threat group (i.e. they are cousins) is not contemplated or accepted as a legitimate relationship by these regulations. The ‘new stage of review’ for SHU placements is still within the confines of CDCR, where the culture is to rubber-stamp the gang unit’s decisions. Prisoners are assigned to the SHU by CDCR administratively, not by a judge or jury. 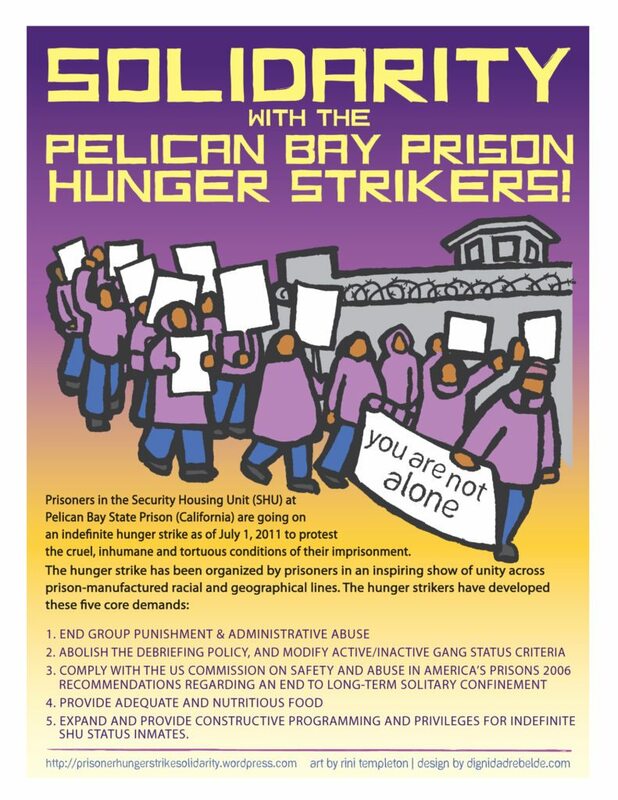 Who gets into solitary isolation is discretionary and arbitrary. CDCR sentences, enforces, administers and oversees solitary. 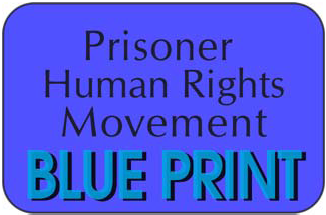 CDCR should not be the body to review the justice of the assignment CDCR makes to solitary. No independent oversight, to check CDCR’s solitary excesses, is in the STG/SDP. Prisoners can be placed in the SHU by the accusations of confidential informants (debriefers). The accused prisonercannot defend himself because the substance of the accusation is withheld from him. Debriefers are released from the SHU as their reward for making accusations against others. This escape hatch causes inmates to manufacture evidence to get out of solitary confinement themselves. Homeland Security language is used to up the ante on common criminal behavior. Will a tree sitter or an Occupier be categorized as a Security Threat Group member? The STG/SDP allows CDCR to put and keep someone in solitary for being a ‘leader’. A Step Down Program designed to help prisoners function in prison’s general population should focus on social reintegration, social interaction, group behavior skills, anger management. This SDP does not. The regulations are difficult to read, they fail to explain the rules and procedures, so prisoners cannot be clear on what the regulations are. The disciplinary matrix and corresponding penalties specifically appear designed to be obscure and incomprehensible. Some prisoners have poor reading or English skills. The SDP fails to provide access to self-help and educational programming to those in the early phases of the SDP, showing that solitary confinement is being used to punish, not only segregate. There is a focus on workbooks with no explanation of how workbook information is maintained or how or who evaluates them. The SDP workbooks are degrading, not uplifting. There are no legal safeguards about how the workbook information may be used in CDCR classification hearings, in criminal prosecutions, civil litigation, and/or Board of Parole Hearings.